A Toronto wax bar must really want customers- they've put a man on the chopping, er, waxing block to drum up interest in the salon's services. 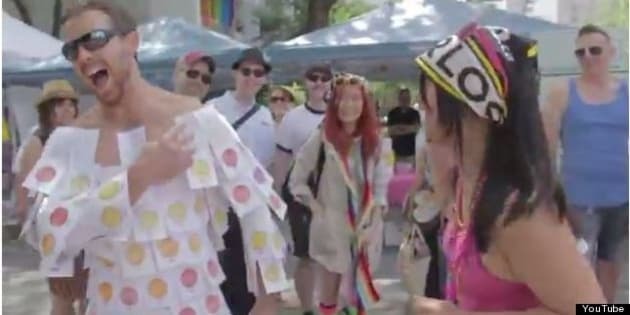 In the YouTube video below, a man can be seen strolling the streets of Toronto covered in wax strips that he invites passerby to pull off. Each strip entitles the waxer to 25 per cent off a waxing at Fuzz Wax Bar. Every time someone pulls a strip off, he yells and they grin and hold up their hairy piece of paper like a trophy. A gross trophy. This video makes us all the more grateful for the private rooms at salons.